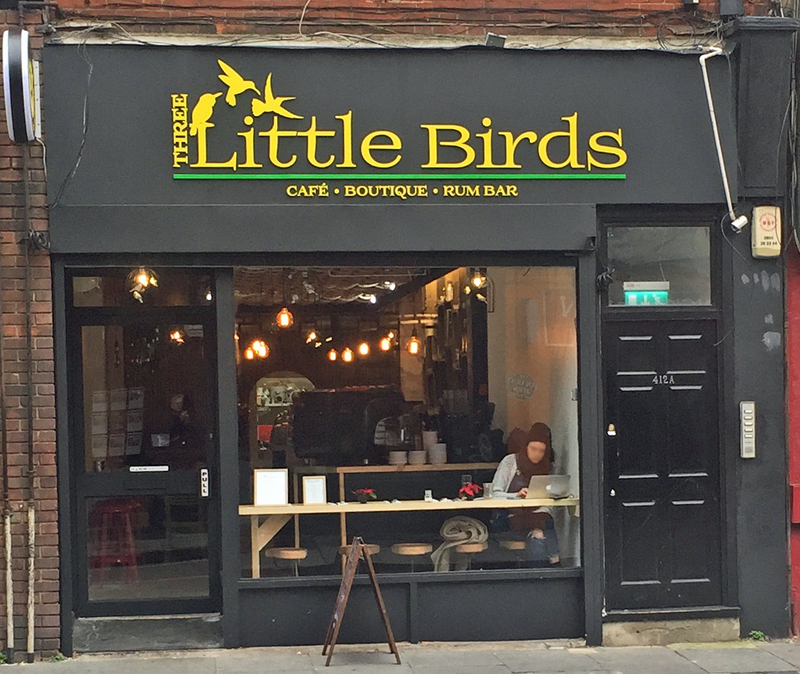 Three Little Birds is another new restaurant opening in Coldharbour Lane, just down the road from the Masterchef Champion’s Japanese inspired restaurant, Nanban, and Shhh!, the newish Jamaican inspired burger bar. So it has competition. It’s worth looking at the website where we are told that this a bar inspired by Brixton’s cultural heritage and is the brainchild of ‘foodie entrepreneur’ and former Miss Jamaica Universe, April Jackson. She is a graduate of Columbia University and creator of ‘The Yummy Truth’ food blog and, until recently, an Apprentice contender. The restaurant is described as a café bar providing Jamaican fusion food. We went on a Friday night and the other diners were mainly groups of women who, unlike most restaurants in Brixton, did represent the local cultural mix. We ordered a couple of cocktails from the cute handwritten list. The only problem is that the place has so much atmosphere that the light is dim, which means the handwritten list becomes a little hard to discern. 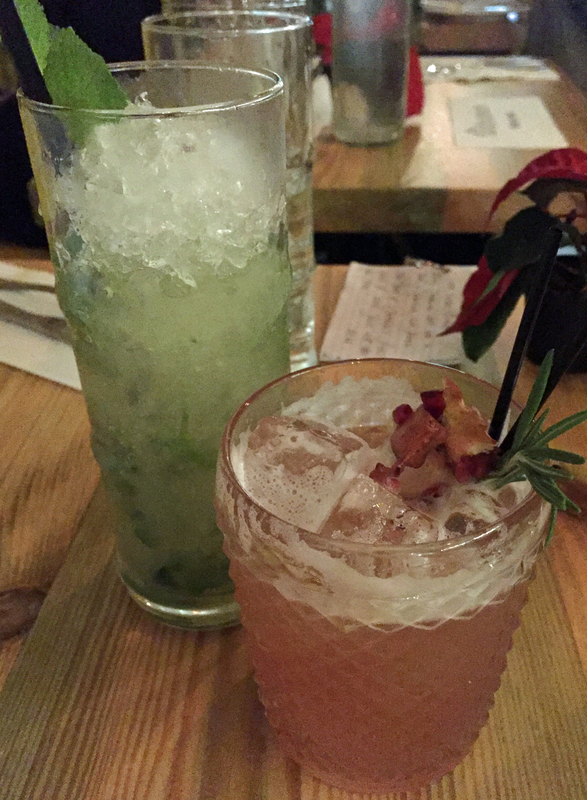 The cocktail list was produced by Vital Petiot, former bar manager of Aqua at the Shard. We found them OK but mine, a “mango mojito” was so sweet that any alcohol was completely disguised. The rum punch was fruity and not so sweet, so hit the spot. The menu is described as “Night nibbles” and this probably describes the size of the portions. 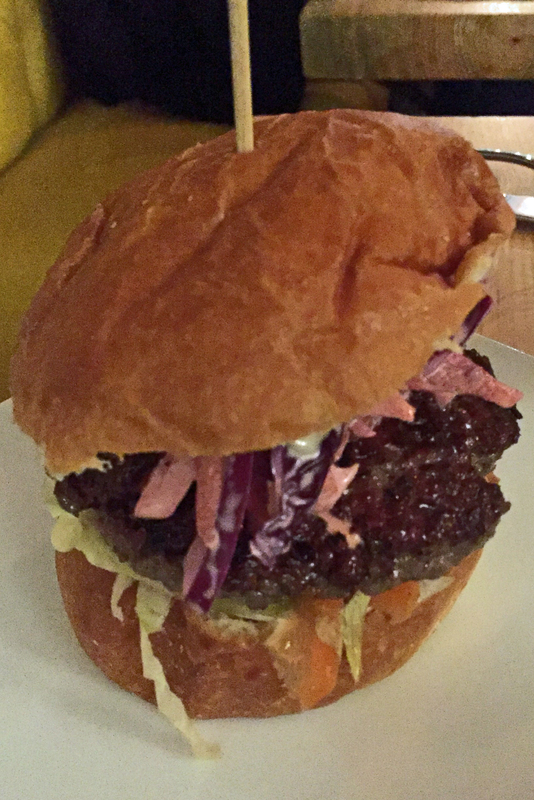 We chose the ‘Jerk burger’ (medium rare) and the ‘Not Curry Goat’ with sweet potato fries and Caribbean slaw. The food was rather sweet as well and we thought not very spicy, although we did feel the heat at the end of the meal. The burger itself was really tasty but it came surrounded by a sweet bun with chili jelly on it. This meant that any finesse in the flavour was really lost. A shame as the basic concept is good. 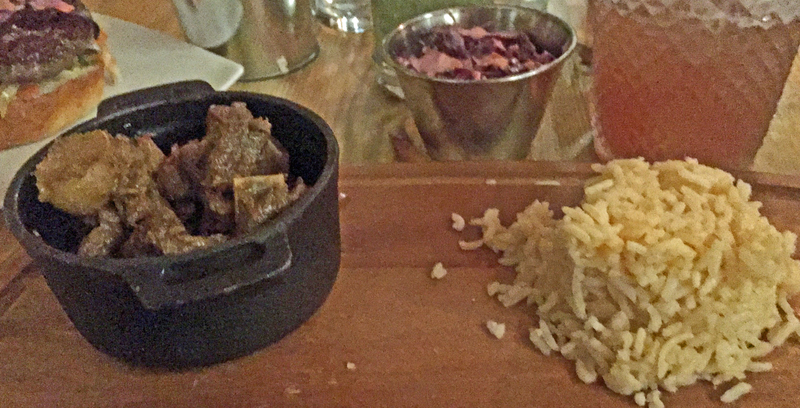 The curry goat looked a bit on the meager side when it arrived, particularly as it was served on quite a large piece of wood. In truth it was sufficient, particularly when accompanied by the fries and the slaw. The meat was tasty and authentic, i.e. it was curried goat, not goat curry, but you had to pick your way round the bones and it was under-spiced. We would urge them not pull their punches to suit a wider audience. There are puddings that looked interesting but we decided to save them for another occasion. The total cost for the meal was £44, including a service charge, which we thought a bit high, although this was mainly due to the cocktails and we were celebrating that night. It is a welcome addition to what’s available in Brixton and we will certainly be back. Just don’t expect giant portions.